Advanced Eye Care of the Upstate, P.A. Advanced Eye Care of the Upstate, PA was founded in 2007 by Michael S. Phillips, MD on the premise that he could provide a level of personalized care in a more “patient friendly” environment than has been available elsewhere. Our goal is to provide the most technologically advanced, patient centered comprehensive eye care available in the Greater Greenville area. We believe that good vision is one of the greatest joys in life and are dedicated to providing our patients with the finest eye care possible. Whether we are providing routine eye examinations, complex surgical procedures, or other services, we are thoroughly committed to excellence in quality of care and serving our patients with kindness and compassion. Advanced Eye Care of the Upstate, PA offers the most advanced, state of the art ophthalmic care including early diagnosis and treatment of glaucoma, macular disease, diabetic eye disease, and dry eye conditions. LASIK and routine eye examinations are also offered. We offer no-stitch cataract surgery, including premium intraocular lenses designed to reduce the need for glasses for both distance and near vision as well as to correct astigmatism. We also offer LenSx Laser assisted cataract surgery. We are honored to have you place your trust in us to provide your eye care. Our goal is to make your experience at our office as comfortable as possible. 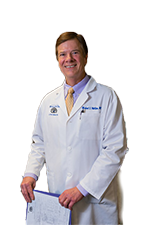 Dr. Phillips practices medical and surgical ophthalmology with over 26 years of experience. He specializes in cataract surgery using the most advanced equipment and offering premium “lifestyle” intraocular lens choices for his patients. He also has extensive experience in the field of Laser Vision Correction, having performed refractive surgery since 1990 and LASIK since it was introduced in the US in 1996. He was Medical Director at TLC Tri-Cities in Johnson City, Tennessee from 1996-2001. Since his relocation to Greenville, South Carolina in 2001, he has continued to stay abreast of the latest technology and treatment techniques in the fields of cataract and refractive surgery, as well as the early detection of glaucoma and macular degeneration. He has access to the most technologically advanced equipment to perform cataract surgery and LASIK including the LenSx Laser Cataract Surgery system and Intralase Bladeless LASIK and VISX Wavescan Customized LASIK technology. Dr. Phillips has performed thousands of surgical procedures and has been blessed with the many satisfied patients who these procedures have helped improve their lives.